On 21st May, 1924, two young men in Chicago, decided to try and commit the perfect crime. One was Nathan Leopold, the eighteen year old son of a millionaire box manufacturer. The other was Richard Loeb, the seventeen year old son of a wealthy vice-president of the Sears and Roebuck company. 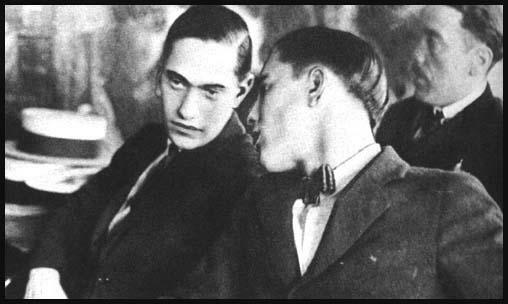 Leopold and Loeb picked up fourteen year old Robert Franks while he was walking home from school. While Leopold drove the car, Loeb killed the boy with a chisel. They then hid his body in a culvert under a railroad crossing, twenty miles outside the city. They then phoned the parents demanding a $10,000 ransom. The murderers were convinced that no one would link two wealthy young men with such a crime. However, Leopold dropped his glasses while dumping the body. The glasses had been made by a local optician and were of an unusual design. The optician's records showed that the glasses belonged to Leopold. The two men were taken into custody by the police and under questioning, Loeb confessed to the crime. The famous lawyer, Clarence Darrow, was employed to defend the two men. He later wrote: "It seemed that Loeb had gotten it into his head that he could commit a perfect crime, which should involve kidnapping, murder, and ransom. He had unfolded his scheme to Leopold because he needed some one to help him plan and carry it out. For this plot Leopold had no liking whatever, but he had an exalted opinion of Loeb. Leopold was rather undersized; he could not excel in sports and games. Loeb was strong and athletic. Leopold had not the slightest instinct toward what we are pleased to call crime. He had, and has, the most brilliant intellect that I ever met in a boy. At eighteen he had acquired nine or ten languages; he was an advanced botanist; he was an authority on birds; he enjoyed good books." Richard Loeb and Nathan Leopold talking during their trial. With the evidence that was available to the court, Clarence Darrow knew he could not obtain a not guilty verdict. As he explained in his autobiography, "From the beginning we never tried to do anything but save the lives of two defendants; we did not even claim or try to prove that they were insane. We did believe and sought to show that their minds were not normal and never had been normal." The judge was convinced by Darrow's arguments and Nathan Leopold and Richard Loeb were sentenced to life imprisonment and were therefore saved from the electric chair. Loeb was murdered by a fellow prisoner in Illinois's Joliet Prison in January, 1936. Leopold was paroled in 1958 and found work as a hospital technician in Puerto Rico. He published his autobiography, Life Plus 99 Years (1958) before his death on 29th August, 1971. It seemed that Loeb had gotten it into his head that he could commit a perfect crime, which should involve kidnapping, murder, and ransom. He had unfolded his scheme to Leopold because he needed some one to help him plan and carry it out. For this plot Leopold had no liking whatever, but he had an exalted opinion of Loeb. Leopold was rather undersized; he could not excel in sports and games. Loeb was strong and athletic. Leopold had not the slightest instinct toward what we are pleased to call crime. He had, and has, the most brilliant intellect that I ever met in a boy. At eighteen he had acquired nine or ten languages; he was an advanced botanist; he was an authority on birds; he enjoyed good books. From the beginning we never tried to do anything but save the lives of two defendants; we did not even claim or try to prove that they were insane. We did believe and sought to show that their minds were not normal and never had been normal.